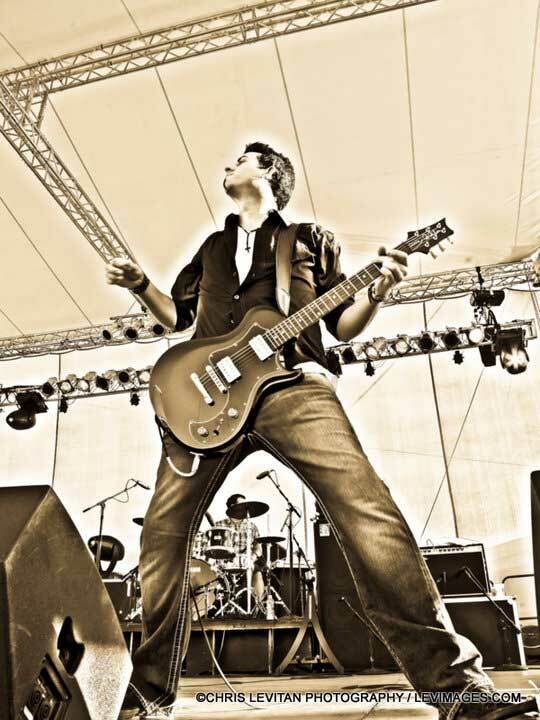 Best known as the guitarist for Uncle Kracker Mike Adkins has shared the stage with such iconic musicians as B.B King, Jeff Beck, and Eric Clapton. 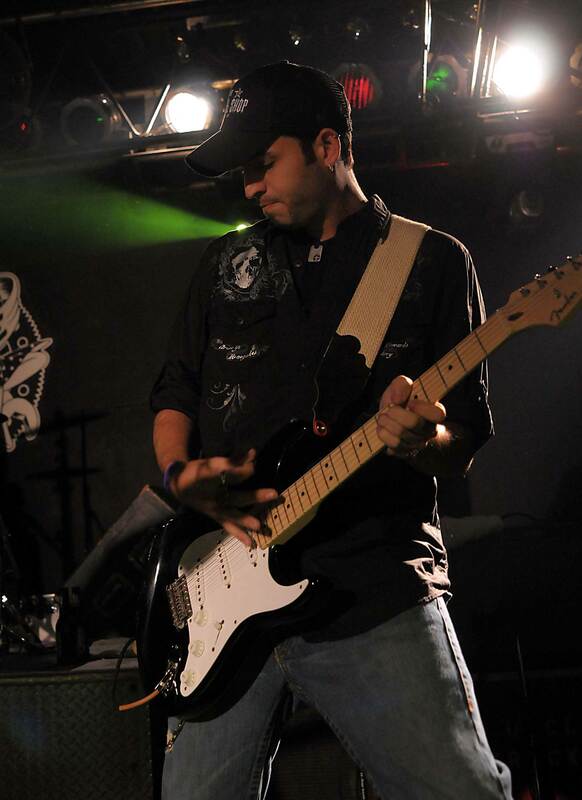 He has also played numerous shows with Kenny Chesney, Kid Rock, ZZ Top, Train, and others. What did you love most about growing up in Detroit? I guess one of the best things about growing up in Michigan, is that you get to experience all the seasons, in a proper fashion. Fall has to be my favorite, it’s hard to beat the beauty of Northern MI in Fall. On the other hand, there is over a foot of snow on the ground here right now, as I look out my window. Which, I’ll be honest, the older I get definitely makes me question why I haven’t left yet (laughs). But, I just love it here, not just because of the change of seasons, but because Detroit has soul…it has personality, and it has heart! The Detroit music scene molded me into the person/player that I am today, and I wouldn’t have it any other way. I’ll leave it at that. What was it like to train in classical piano at the age of 8? It was interesting…I definitely wasn’t that great at first. And, I despised reading the music, which I still do today(smiles). Actually, most of the piano recitals that I remember doing, you would be sat at the piano with the sheet music displayed in front of you, and you were supposed to read the music as you played. Looking back at it now, I’m nearly positive that I just memorized all the songs and looked at the sheet music to appease my teacher. But, in the end piano helped me learn music theory, and eventually led me to guitar. So, I’m definitely thankful my Mom pushed me in that direction. What music did you first love? Do you happen to remember what your favorite first song was? Gosh, that’s a really tough one. I guess one of the first songs I can really remember loving was I Heard It Through The Grapevine by Marvin Gaye. The reason for that is, I was super into the California Raisins at the time, and that was their theme song. I remember I had the cassette and I would walk around my house singing and blaring it outta my mini boombox! Funny enough, I just started performing that song in my acoustic duo…so things have really just came full-circle so to speak (laughs). Who are some of your biggest influences in regards to music? Well, as holds true with most musicians I’d have to assume, I have an extremely long list of influences. But, if I had to name just a few, I’d probably have to pick the obvious choices: Led Zeppelin, Rolling Stones, Aerosmith, AC/DC, Jimi Hendrix, and Stevie Ray Vaughan. What was it like to see The Rolling Stones live at the age of 6? What do you remember most about that experience? It was definitely pretty incredible, I didn’t really know what to expect. It was extremely overwhelming at first, but once we got to our seats I can remember feeling right at home. Entertained and inspired all at once, although I’m nearly positive I fell asleep before it was over. Why did you decide to become a guitarist? What do you love most about playing guitar? I started playing guitar when I was about 12 years old, I can remember being in Sixth grade. It was 1994, and that year my parents took me to more concerts than I’ve ever been to in any other year of life. Just to name a few, I saw: Plant & Page, The Black Crowes, REM, The Offspring, Green Day, Pink Floyd, Rolling Stones, Aerosmith, Traffic, and a bunch of others I can’t think of off the top of my head. But, point being seeing all that music that year, made me want to be one of those performers on day. It inspired me to learn guitar, and start performing in front of people and I couldn’t be more gracious of the places that this instrument has taken me, not to mention the opportunities it has given me. What did it feel like to open at Clapton’s Crossroads Festival in 2007? It was great! That show was really the first MAJOR show that I had played outside of Michigan with my old band Flophouse. And, it was definitely the first time I had shared the bill with any huge household name artist, such as Clapton and Beck. So, we were thrilled to be a part of it! They put us on first, just after the doors opened…so it’s not like we played to 20k people. But, what it did do, is make me realize that nothing is too far out of reach. I put in a lot of time and energy into getting our band on that show, and it eventually paid off. So, from there, I started putting a lot of hard work and passion behind making a career of out of it. Well, that’s gonna be an extensive list, so I’ll try and summarize the best I can. I take two acoustics, one is a McPherson Guitar and the other is a Taylor 814ce. For electric guitars, I have a custom Paul Reed Smith, Detroit styled, guitar that is pretty much my main axe. But, I also usually bring out my Goldtop Gibson Les Paul, and a PRS SinglecutHollowbody II. As far as amps go, I use a couple of different amps. Budda Amplification recently got me touring with a Super Drive 30, which I’ve grown to like quite a bit. Also, I’m using a 50-watt Sophia Combo, by Wallace Amplification. Pedal wise I use mostly Dunlop effects, Peterson Tuners, Catalinbread overdrive, and VanAmps reverb. All strung together by Analysis-Plus Cables, that are based right here in Michigan. Lastly, my wireless in-ear monitor system is by Galaxy Audio. There is a lot to love about performing live! I guess the adrenaline rush that you get performing in front of a sold-out crowd has to be my favorite part. We just had a show this past summer at DTE Music Theater here in Detroit, where we headlined that evening, and the roar of the crowd literally gave me goose bumps as we walked out on stage. Hard to beat that feeling (smiles). What do you think it takes to become an accomplished guitarist? If there were any one correct method on becoming accomplished or successful as a guitarist, I think everyone would be doing it. What works for someone, may not work for the next person. I guess, the best advice I could offer would be, stay determined. Nothing worth having, happens over night, or comes easily for that matter. It starts by mastering your instrument, then taking it out of the bedroom/house and start doing in front of others. From there, networking and meeting everyone you possibly can along the way, will help you grow as a performer and land better gigs. Stay true to who you are, be friendly, smile, support others, and most important play from your heart. I know all that sounds corny, but if you look beyond the cliché statements that are there. It’s all very true and effective. Where do you hope to see your career go in the years ahead? That’s a really tough question to answer. I really love what I do, and I plan on playing music for the rest of my life. Obviously, things change…new opportunities arise, while other doors close. But, with that being said, I know whichever direction my career goes, it will involve music. 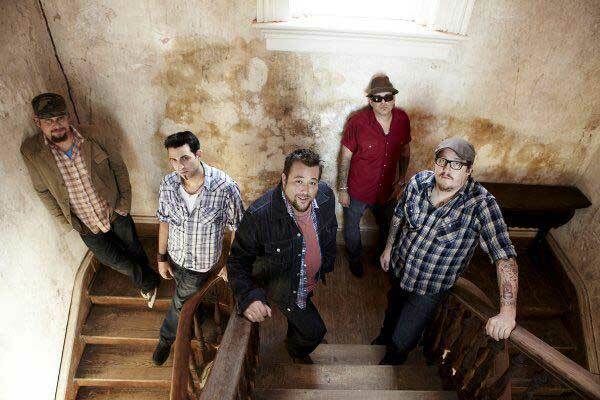 Put it this way, I have a lot of faith in Uncle Kracker as an artist, and as a touring act. And, while my opinion may be a lil’ biased, I personally think that the best is yet to come. 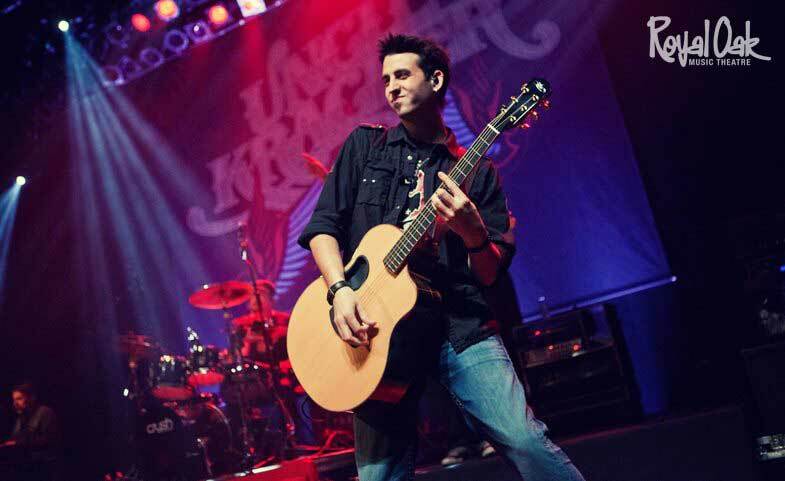 When I have downtime from touring with Uncle Kracker, I have a couple acoustic projects that I have been working on. One is called, The Allies, it’s name basically describes exactly what we are. It’s usually a 2 or 3 piece acoustic act, where the members are all from other touring bands, who unite as a band for an evening of rock’n’roll covers, ranging from CCR to Iron Maiden. Our lead singer Chris Gillen can channel Ronnie James Dio so well, it’d make you think he was on the stage. It’s usually a blast, and nothing short of entertaining. My other project is called “Lee – Adkins” which is just what it sounds like, my buddy Brett Lee & Myself. It’s a lot like The Allies, with more of a country influence.Brett has a killer voice, with soul for days! And, I hope to run into ya at a show soon…Keep Rocking!